Puerto Rico; home to sun, sand and of course ice cold Pina Coladas. It was also home to me for a week over the holiday break between Christmas and New Year’s thanks to a well-timed vacation that saw me escaping the freezing cold temperatures of New York, even if it was only for a few glorious, sun-soaked days. My destination was the island’s capital, San Juan, and my intention was to do as little as possible other than laze by the pool and check out the local nightlife in Old San Juan. Now anyone who knows me will tell you that despite being originally from Australia I am, surprisingly enough, not that much of a ‘beach guy’. Sure I like being by the water, sand in your toes, maybe the occasional dip beneath the waves, that sort of thing but I am certainly not a surfer and even less of a diver. 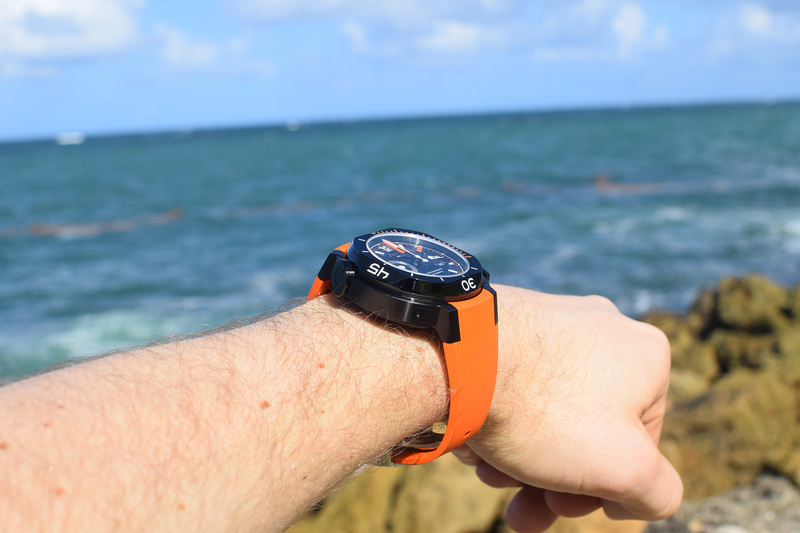 Of course that doesn’t necessarily stop me from wanting to look the part, which is why I took a very colourful companion on the trip with me; the Clerc Genève Hydroscaph Chronograph. If the name Clerc Genève doesn’t ring any bells don’t worry, I am sure even some of the hard-core dive watch enthusiasts amongst us are probably getting ready to type it into Google right now. 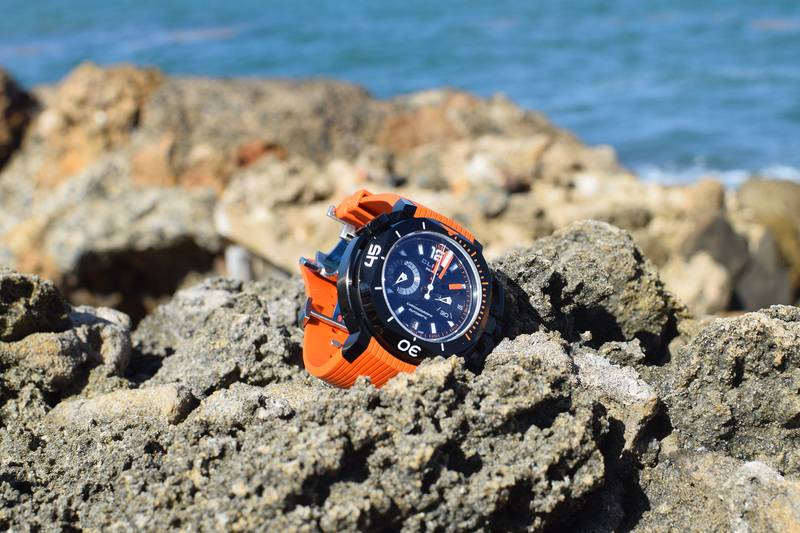 Let me save you the trouble though and give you a bit of background on the brand here first before I get into looking at the Clerc Hydroscaph Chronograph. As you probably guessed from the second part of the name Clerc is a Swiss watch company and a relatively small one at that. What it lacks in size though it makes up for with innovative designs that incorporate cutting technology tempered by learnings from the brand’s rich history, which spans some 140 years. 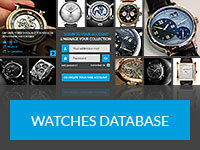 Founded in 1874 and based in Geneva, Switzerland, the company has undergone many changes over the years. What has remained constant throughout though is the desire to create timepieces that are unique, highly functional and of course innovative. The results haven’t always been pretty (google “Clerc Odyssey Lady Skeleton” for an example of what I mean) however each piece has, in its own way, contributed to the brand’s rich and inventive heritage which in turn guides future designs. These days the company is helmed by Gérald Clerc, a direct descendant of the original founders and a man bent on keeping alive the family passion for exceptional horology that has been handed down from one generation to the next. 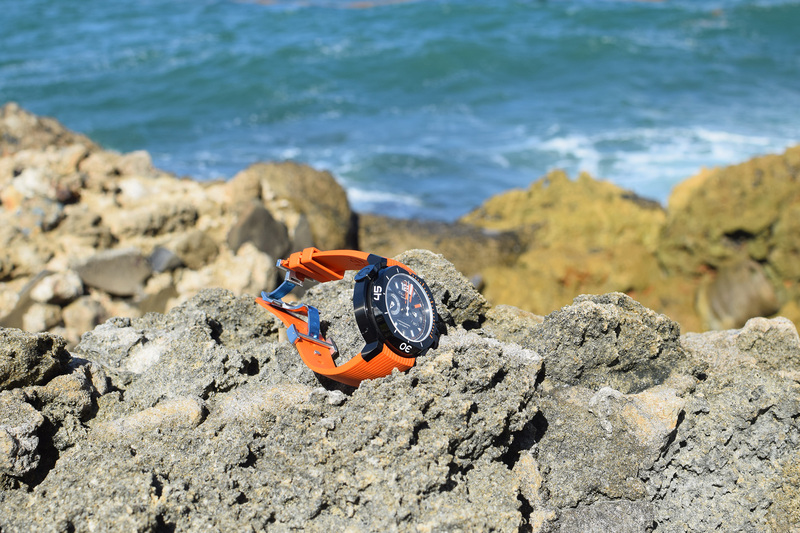 Although clearly proud of the family heritage he has inherited Clerc’s focus is firmly on the future, envisioning his timepieces accompanying adventurers on their journeys to far-away places like space or the deepest parts of our oceans. He doesn’t just want to make watches; he wants to invent them. 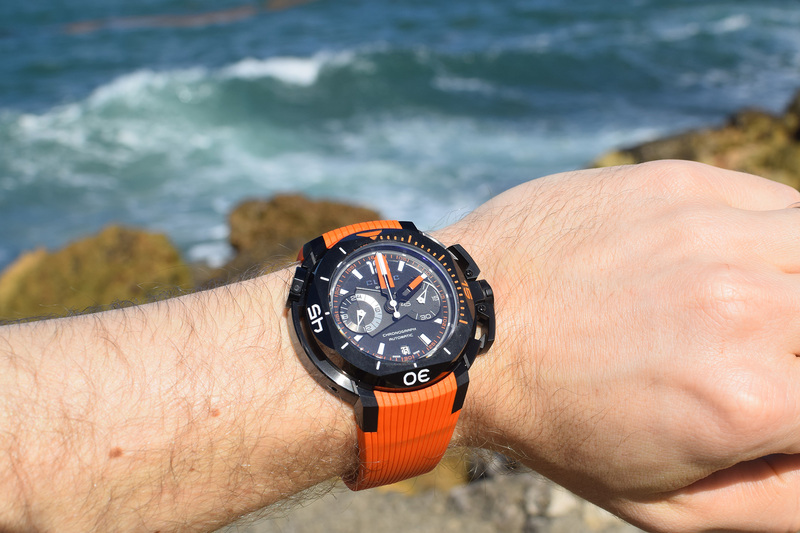 At present the company only offers two models, both of which are dive watches; the Clerc Hydroscaph Chronograph which we are looking at today and the Hydroscaph H1. It’s an interesting approach to be sure and one that has resulted in some seriously over-engineered watches that can only be fully appreciated when you understand just how much work has gone into making each one. 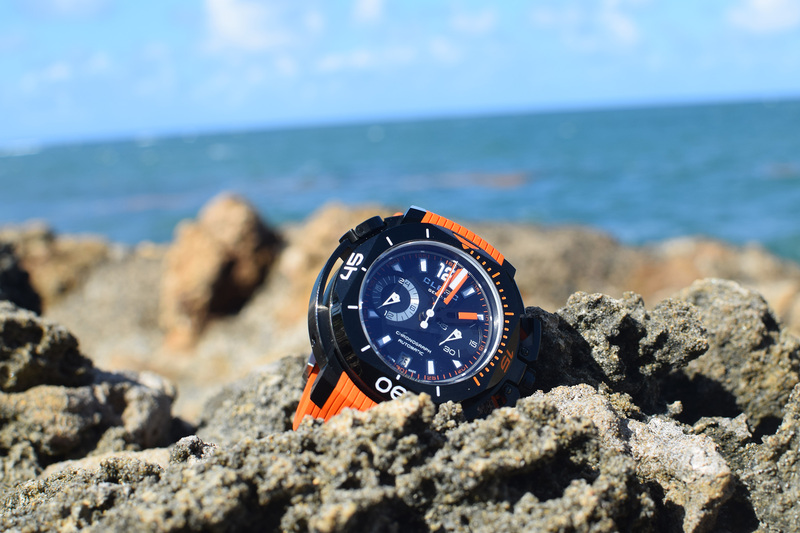 And while the space travel part may still be a while away yet, the deep ocean exploration is very much a reality, which brings us back to the Hydroscaph Chronograph; a watch that looks like it could survive just about anywhere on the planet. 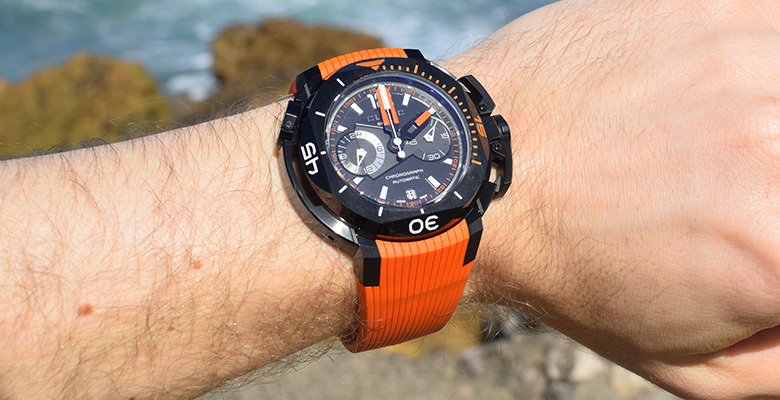 Before I go into too much detail I should probably start out by saying the Clerc Hydroscaph Chronograph is not your typical every day watch. You don’t wear this bad boy with a suit to the office or for leisurely Sunday golf games with your chums. 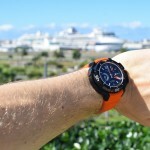 No, this is a watch designed for adventure and exploration and besides, it’s simply too big and chunky to be suitable for day-to-day wear (in my opinion at least.) 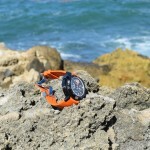 Now of course I realize the irony of that last statement when you consider that I chose to wear the Hydroscaph Chronograph on my adventure-free, super relaxed island escape but you have to remember that the whole point was that I trying to give the impression that I was being a lot more active and adventurous than I perhaps was. 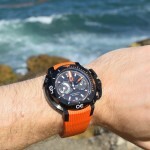 As I mentioned before Clerc watches are seriously over-engineered and the Clerc Hydroscaph Chronograph is no exception. Available in three different finishes: high-density steel, black DLC (diamond-like carbon), and 18K rose gold/black DLC steel, the multi-layered case is comprised of some 103 individual pieces and is wonderfully fun to play with. 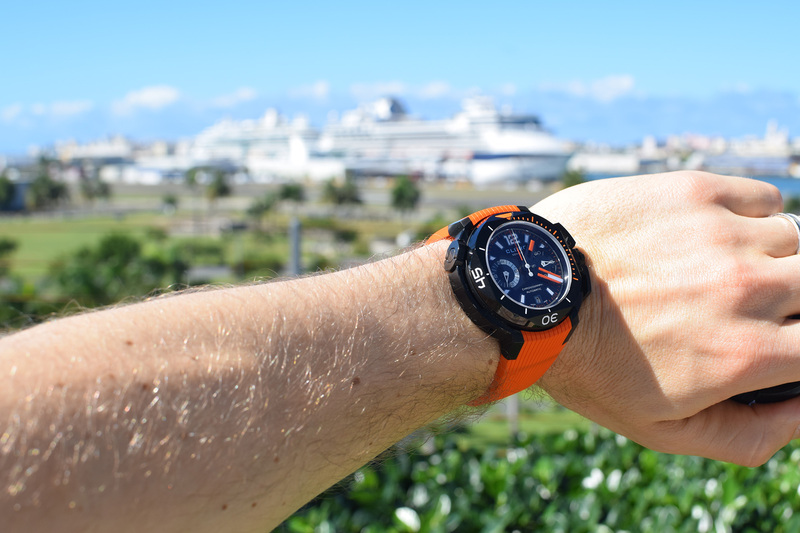 The flipside to this of course is that it sits a little high on the wrist and the extra weight does take some getting used to but again you have to keep in mind that this watch has been designed to be a functional tool watch first and foremost. 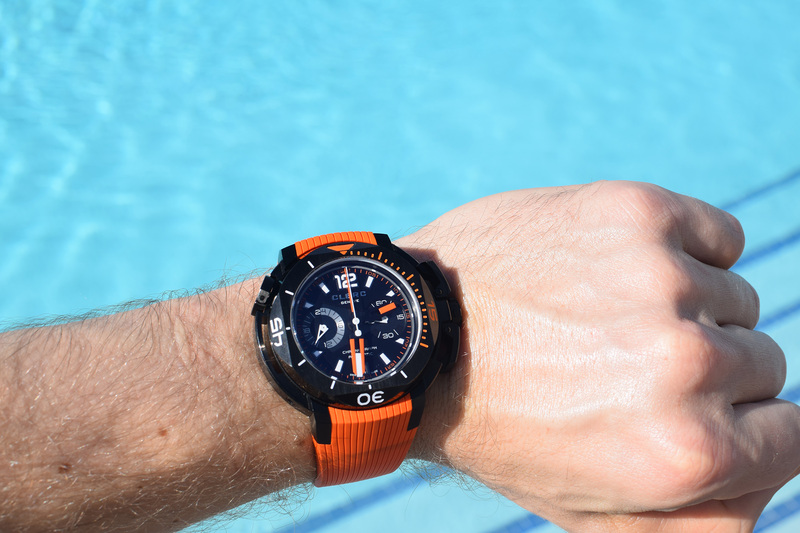 Guaranteed water resistant to a depth of 500m (about 1,640 feet) the Clerc Hydroscaph Chronograph is equipped with the brand’s signature octagonal-shaped rotating bezel for tracking elapsed time when diving. A retractable flap on a separate dedicated crown at 10 o’clock allows you to turn the bezel to set the appropriate marker. 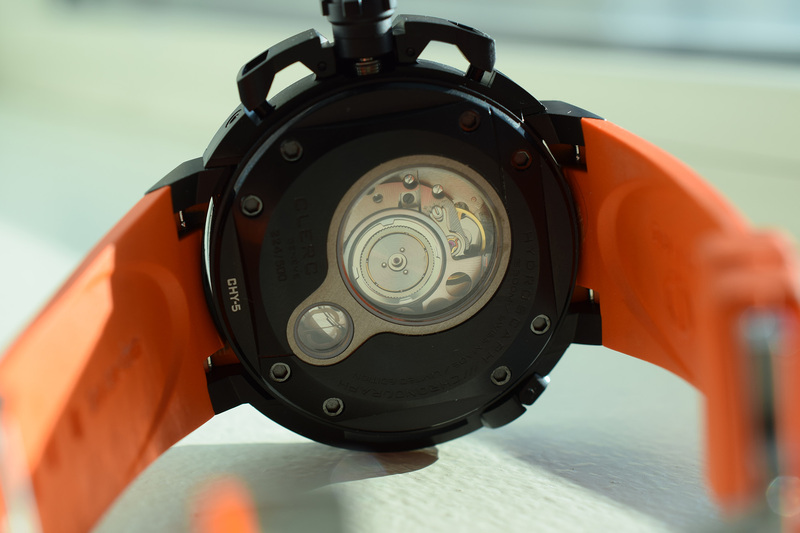 Returning the flap to its initial position securely locks the bezel, thus avoiding any risk of accidental deregulation while diving. In addition to showing the hours, minutes and seconds the dial also features a central chronograph display tracking elapsed seconds and minutes on an outside chapter ring, as well a 24-hour day/night indicator on the sub-dial at 9 o’clock and the date in a small window at 6 o’clock. Providing the power is the Clerc C608 self-winding movement, a small part of which is visible through the small sapphire window on the caseback. 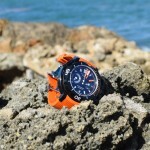 All in all I enjoyed my time with the Hydroscaph Chronograph. 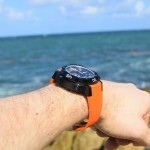 It did take a little getting used to at first but I loved the feeling of wearing something so well made on my wrist plus I didn’t even give it a second thought when I went swimming at the beach or hiking in Puerto Rico’s rainforests, I just knew it would be up to the challenge. The watch is $10,650 – the entire range of the central chronos goes from $9350 to $17,000 (that’s with 18K gold and black DLC on black hornback strap). Limited to 500 examples in each of the aforementioned finishes you can find out more information about the Hydroscaph Chronograph at the official Clerc website here.